January 15th is National Bagel Day! 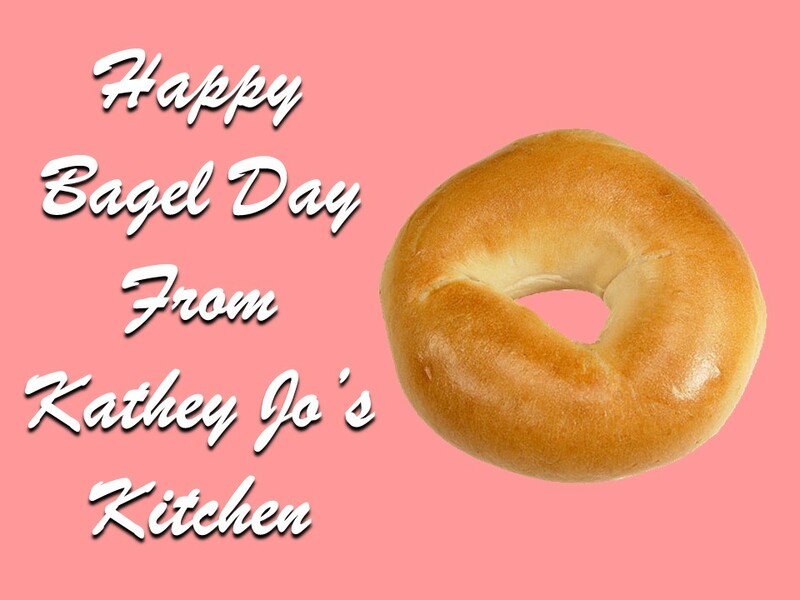 Today is National Bagel Day, and here at Kathey Jo’s Kitchen we are ready to celebrate! My name is Kathey Raskin, and I’d like to welcome you to my Las Vegas kitchen. We’re all so busy these days, it’s easy to fall into the habit of eating fast food and unhealthy snacks when we’re on the run. I love bagels because with the right choices they present a healthy alternative that doesn’t skimp on convenience. Bagels may have originated in Poland, but since they were brought over by 19th century immigrants they’ve become a popular treat here in America. It’s easy to see why we love bagels. They are convenient and delicious for any meal or for a snack. There are many varieties, including options that appeal to children like cinnamon raisin and blueberry. You may have heard that bagels aren’t healthy, but you can make bagels healthier by choosing nutritious toppings like fresh vegetables and lox. You can also choose healthier whole-grain bagels, which provide 20 percent of your daily fiber requirement, as opposed to the 8% plain white bagels provide. Whether you like your bagels plain, sweet, or savory, when it comes to toppings we have infinite options, limited only by the imagination. I like to buy my bagels fresh from a local bakery, but you can make your own at home if you’ve got the time. You’ll find the extra effort is well worth the rewards! Want to learn how to make authentic East Coast bagels at home? If you’re a fan of San Francisco style bagels, try this recipe!